Accelerate your promotions with imprinted calendars! This 13 month spiral-bound calendar features brilliant full-color photography of classic muscle cars. Constructed from 60# gloss paper stock for long-lasting durability and a professional look. Holidays and special remembrances are included for your convenience. Features large date blocks to write in appointments, birthdays or other special notes. Perfect for auto body shops or car enthusiasts! 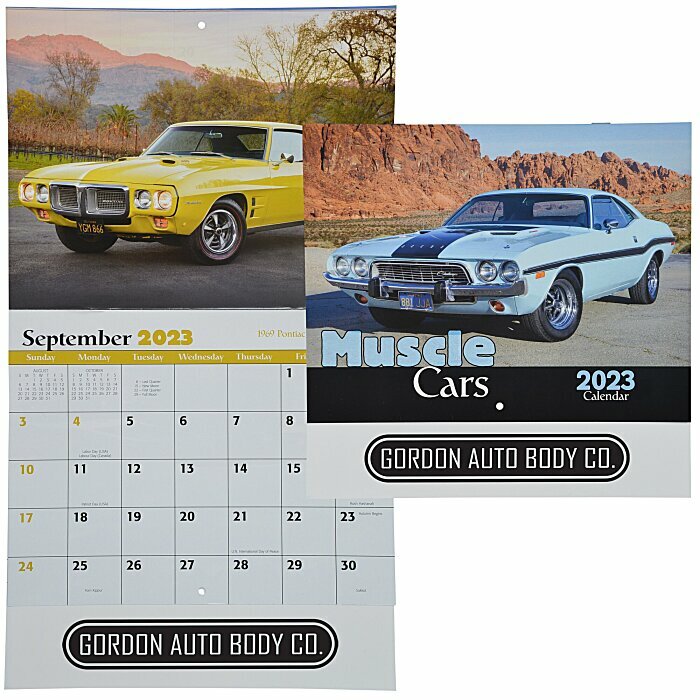 For spiral-bound calendar, see item #7462-SPMuscle Cars Calendar - Spiral; for quick-ship calendar, see item #similar item search 7462-24HR.